The National Gallery Singapore is going global, presenting its first show at the Centre Pompidou in Paris as part of the joint Reframing Modernism initiative launched by both institutions. 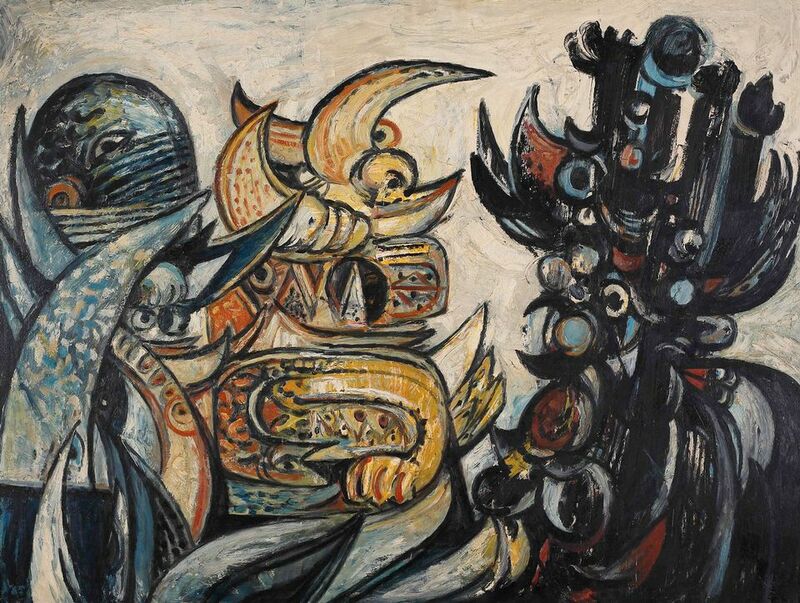 The exhibition in Paris, Latiff Mohidin; Pago Pago 1960-69 (until 28 May), includes more than 70 works by the eponymous Malaysian artist and poet drawn from private and public collections in Singapore and Malaysia. Reframing Modernism “was developed in the spirit of re-examining the currents and perspectives which have shaped existing notions of Modernism”, write Eugene Tan, the director of the National Gallery Singapore, and Bernard Blistène, director of the Centre Pompidou’s Musée national d’art moderne, in the exhibition catalogue. Both institutions are keen to “contribute to a more nuanced understanding of interactions between southeast Asia and Euro-America from a decentralised perspective”. In 2016, the Beaubourg gallery loaned works by artists such as Picasso and Chagall to the Reframing Modernism show held at the National Gallery Singapore, putting southeast Asian works in a new global context. Prints, poetry, sculptural objects and writings on display reflect Mohidin’s multifaceted practice during the 1960s. The co-curators—Catherine David of the Centre Pompidou and Shabbir Hussain Mustafa of the National Gallery Singapore—demonstrate how Mohidin was exposed to movements such as German Expressionism and Cubism during his time studying at the Hochschule für Bildende Künste in west Berlin from 1961 to 1964. Key works on show include Nature Morte I, Paysage de Berlin (verso; 1962), and the work on paper Un garcon (1963). In the second half of the 1960s, Mohidin travelled across southeast Asia against a turbulent political backdrop whereby various nationalist movements had begun to prevail (Singapore split from the Malyasian Federation in 1965, for instance). The artist also forged important relationships with other avant-garde thinkers such as the writer Goenawan Mohamad in Jakarta. Mohidin dubbed this dialogue, and the new aesthetic taking shape regionally, Pago Pago. Mohidin describes how the Pago Pago works are made, saying in the exhibition catalogue: “Each Pago Pago object is constructed with a black contour… sometimes the colouring came after the shape had taken form. The bottom ground is uniformly the same colour, like the Berlin still-life paintings. In terms of the brush technique, although Pago Pago has fewer brush strokes, there is significant control over the form, the curves, the leaves.” His poetry of the time is, meanwhile, in free verse form, echoing the biomorphic aspect of his art.